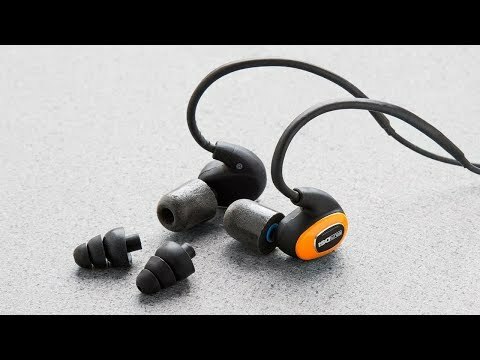 These wireless Bluetooth earbuds give you all the benefits of noise-isolating headphones minus the bulk. They’re OSHA compliant and rated as professional-grade. Whether you’re mowing the lawn or on a job site, you’ll be able to tune out the noise and make calls in loud environments. Dimensions: 18" x 1" x 1"
These fit nicely in my ears and sound is great. Thinking of getting a second set. I went to pull the earbud out and it detached the bud from the main portion. Also, there was a clicking in the microphone. 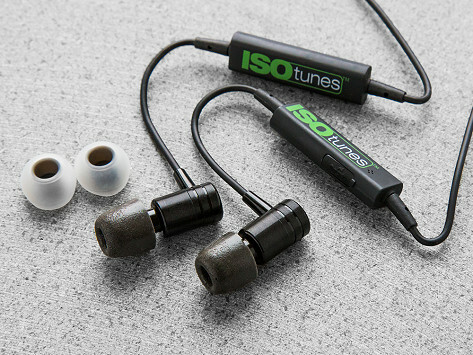 ISOtunes Bluetooth earbuds protect your hearing by isolating sounds and limiting volume. And they do the job of filtering steady noise from things like fans, vacuums, and mowers so well that they are rated professional grade and are OSHA compliant. The earbuds not only isolate noise, they also isolate your voice on phone calls. The microphone separates your voice from the background noise so the people on the other end can hear you clearly. The buds have ultra-soft memory foam tips that fit snugly in your ear and an exterior that’s sweat- and water-resistant. Whether you use them for work or play, you can be sure that a pair will protect you from loud outside noises.